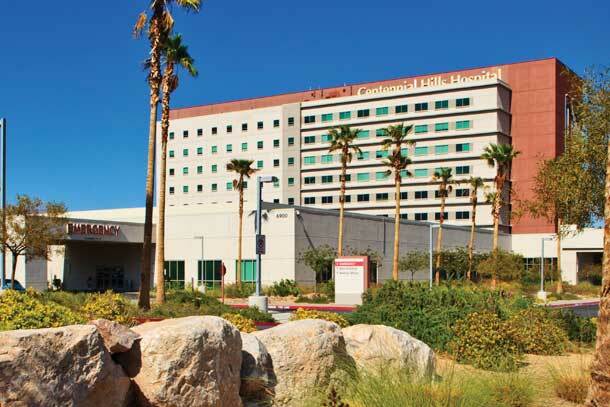 Centennial Hills Hospital Medical Center is a 262-bed facility that is part of the six-hospital Valley Health System in the Las Vegas area. We provide a wide range of medical services and procedures, including comprehensive women's services for the Northwest Las Vegas area. In addition to providing digital mammography, gynecologic care and gynecologic surgery, the Women's Center pays special attention to new moms. During their stay, moms enjoy special menus, massages and afternoon teas. The Women's Center maternity services include labor, delivery and recovery rooms, antepartum and post-partum care, a newborn nursery and a Level III NICU. Centennial Hills Hospital has taken a progressive approach to health promotion by becoming the first tobacco-free campus in Nevada. The mission of Centennial Hills Hospital Medical Center is to provide to our community: excellence in clinical care that our patients recommend to their families and friends; that physicians prefer for their patients; that purchasers select for their clients; that employees are proud of, and that investors seek for long-term results. Learn more about the comprehensive care available at Centennial Hills Hospital Medical Center and the other hospitals in the Valley Health System. The latest Centers for Medicare and Medicaid Services (CMS) star rating for Centennial Hills Hospital Medical Center is one star.